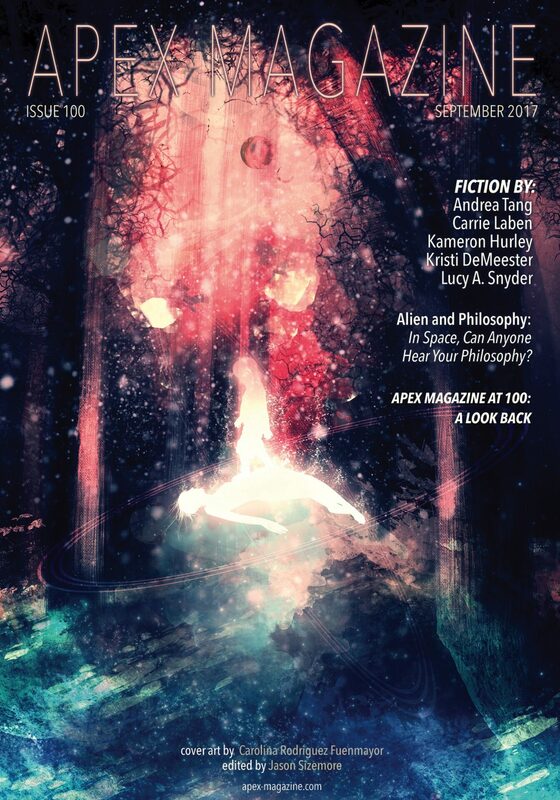 "Tumbledown," by Kameron Hurley [bio] (edited by Jason Sizemore), appeared in Apex Magazine issue 100, published on September 5, 2017. Pro: There’s lots of excitement and lots of tension. Everyone should be dying from mercury poisoning. Including the dogs. Frozen mercury is denser than liquid, so there wouldn’t be a layer of “ice” above liquid. Iron floats in mercury, so her braces wouldn’t sink in it. They should have known from the start to get antibodies from Sarai rather than trying to transport anything. But why are they going bad in the first place if everything is frozen? It doesn't help that we're lead to believe that the whole mission is in vain from the start. Everyone involved seems really stupid for doing it. Originally appeared on her Patreon 11/30/2016. Locked to her patrons only -- so does this count as a reprint or original? That's a very good question. I think preprints haven't counted for other works in the past--even when paid for--so my guess is that this is still eligible.